Dyson’s digital motor operates at 110,000 RPM, more than 5x a modern day IndyCar. 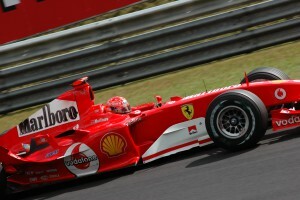 In a decade dominated by Ferrari and Schumacher, fans were still drawn to tracks for the Formula 1 experience. I was impressed with Dyson’s localization efforts at first, because it was clear to me that they had rewritten this line from reading Formula 1 to IndyCar to appeal to the American consumer. 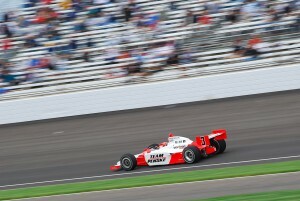 However, IndyCar runs on stock V6 turbo engines and have been limited to run between 10,000 and 12,000 RPM for years. This statistic was overlooked in localizing this message and should been updated to close to 10x a “modern day” IndyCar. On the other hand, Formula 1 cars in recent history ran naturally aspirated V10 and V8 engines that came close to 20,000 RPM before restrictions were put in place and eventually the sport turned to the hybrid V6 turbos today. It’s understandable why Dyson used Formula 1 to emphasize the message of hi-tech engineering. First, Dyson is a British firm and Formula 1 is big in Europe. Dyson’s engineering innovation appeals to the tech savvy consumer and Formula 1 arguably has always operated at the highest level of motorsport technology. But there is something else I think that matters in the relation between Dyson and Formula 1: The Experience. Dyson vacuums are exciting to operate. When their digital motor stops spinning is sounds like you just powered down a jet. Dyson excites customers through inviting stories about how they solved engineering problems in ads with James Dyson, the founder and inventor. Fans who have been following Formula 1 from the mid 90’s era until around the mid 2000’s not only fit the demographic that Dyson likely targets (30 – 40 year olds), they also likely connect on an emotional level with the technology that it offers. Formula one didn’t always have the best racing, but it offered an experience that no other motor sport series could ever produce: the sound. Fans were drawn to the tracks to hear and feel these cars scream by at 20,000 RPM with sound levels close to 140db per engine. People who love Formula 1 for its technology and sound undoubtedly gained a little bit of appreciation for Dyson’s digital motor technology just by reading that line: more than 5x the speed of a Formula 1 engine. It seems that the localization department at Dyson was trying to be a bit too clever and perhaps afraid that the American market wouldn’t know what to think about this comparison with Formula 1. Formula 1 has been around in the US for quite some time, but it has always struggled to get a foothold in a market dominated by NASCAR and IndyCar. However, the comparison between IndyCar and Dyson falls somewhat flat to me. I would argue that it would have been better just to keep Formula 1 in this case. I don’t get the sense that IndyCar fans necessarily care much about the technology as they do with Formula 1. Their technology hardly changed over the years apart from impressive safety upgrades and perhaps push-to-pass. I’ve been to both venues and there is no comparison when it comes to experiencing the sound of these engines. If anything, I would argue that NASCAR has a fan base that cares more about its classic American V8 technology (Fox who hosted NASCAR on TV for years always featured a segment where fans were asked to “Turn up the noise”). 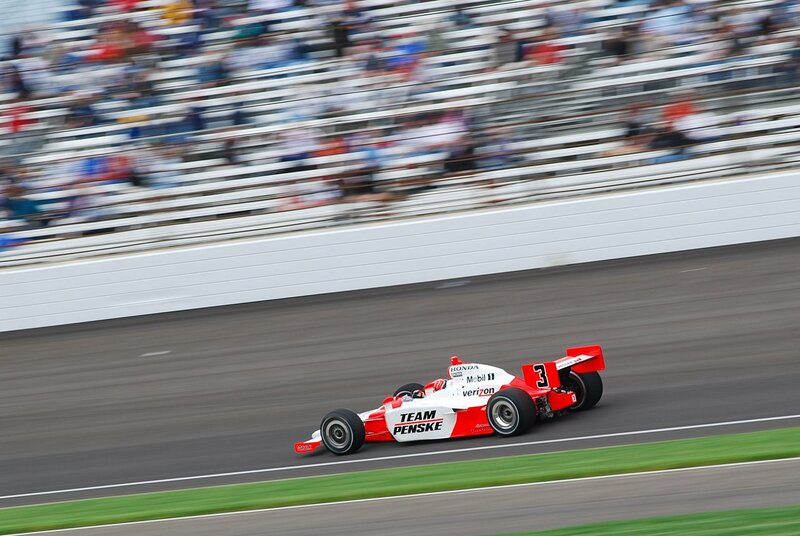 IndyCar is more about being the fastest, closest (oval) racing you can find of any open-wheel racing series. 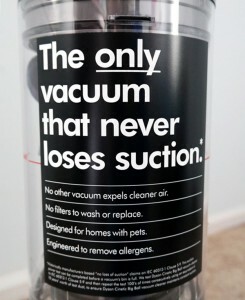 The slogan that took Dyson to its success in the US market. It’s fun to speculate about the intent of this one marketing line, which of course had nothing to do with Dyson’s success. Dyson’s marketing slogan and promise of “Doesn’t lose suction” took the brand from being completely unknown in US market to become the largest brand in vacuums in the United States, and changing the entire landscape of the vacuum market in the process. 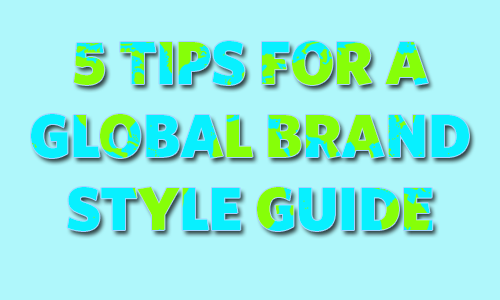 But it illustrates that Localization requires thought on relevance and intent. Intent is often overlooked as companies simply want to be culturally relevant. It’s hard to image that brand messaging ever happens by accident considering the investment into the process. Organizations have the opportunity to capitalize on this investment into the original message and to enhance the success of the localization process. Jeroen Tetteroo, from the Netherlands, is the Senior Localization Manager for Language Solutions and has been a lifelong fan of Formula 1 and motor sports. The F1 and IndyCar images in this post were taken by Jeroen Tetteroo.